1) Add the folder(s) that will be scanned using "Add Folder" button (1). Folders can also be added by dragging them inside the application from Windows Explorer. 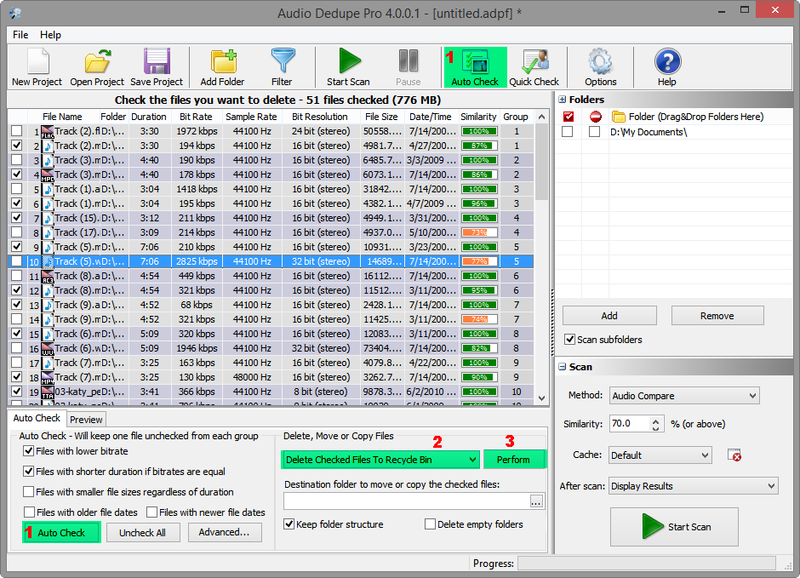 2) Select "Audio Compare" method from the drop down list (2). Note: The "100% Identical Files " method does not scan the files for acoustic similarity. Using this method only 100% binary equal files can be detected. "File Size" method will find duplicates with equal file sizes. 3) Adjust the "Similarity" spin button with the desired value (3). The default similarity value is 70%. Note: Similarity value is used only for the "Audio Compare" method. 4) Select "<New Cache>" from "Cache" drop down list (4) or existing cache if one is previously created. 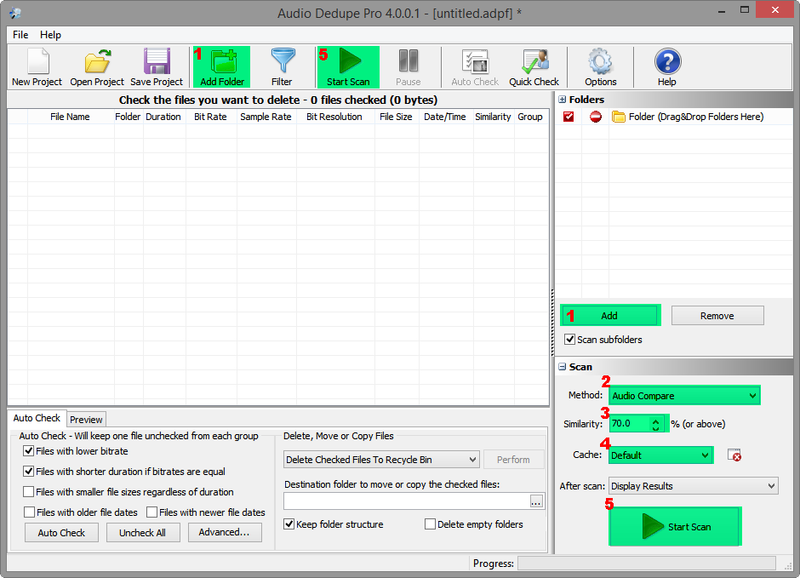 Duplicate audio files are grouped together with alternating group colors. 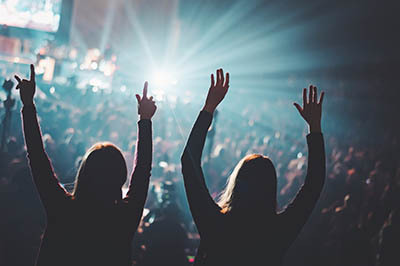 Depending on the "Auto Check " settings, the program can automatically mark files with lower bitrate, shorter duration or smaller file size in every duplicate group. If some files are un/checked manually, the "Auto Check " button (1) can be used to reset the selection. The internal audio player can be used to preview the files. It continues to play from the same position while navigating through the results in order to provide a better comparison. After checking the files to be moved, copied or deleted (2) using the "Perform" button (3) will execute the selected action. The checked files can be deleted the to the Recycle Bin by selecting "Delete files to Recycle Bin" option. The files will be deleted permanently if the "Delete files" option is selected.. The checked files can also be moved or copied to a custom folder which should be set in the "Destination folder..." option. The source file folder structure can be recreated in the target folder if "Keep folder structure" is checked.